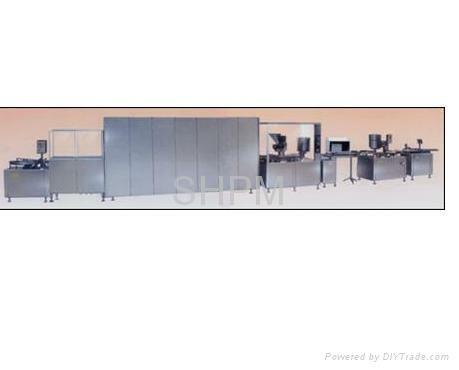 This production line, consist of KCZP type ultrasonic auto bottle washing machine, GMS type tunnel laminar flow sterilization dire, KFG type power filling machine, DJ-100 roll wheel type light examining machine, KTN type non-dry sticky labeling machine, either work together linked by convey belt, or work individually. It is extensively applied in a various kinds and specifications of eye drop liquid production. After digesting and absorbing the advanced technique of same kind products from abroad, the machine unit is a new generation product with reasonable structure, higher automation degree. 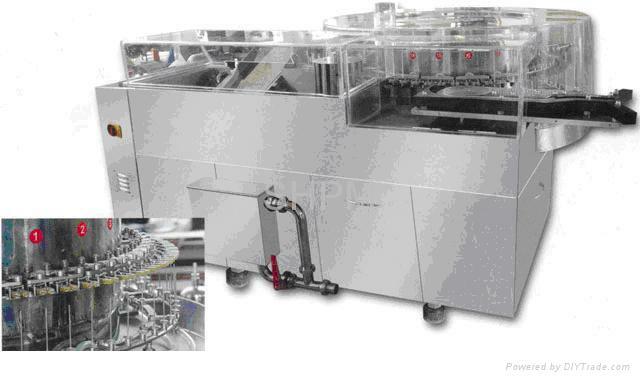 With higher production efficiency, it runs reliable and gets higher precision in filling accuracy. It comes with mechanical and electronic integration technology, reaching the advanced level at home. 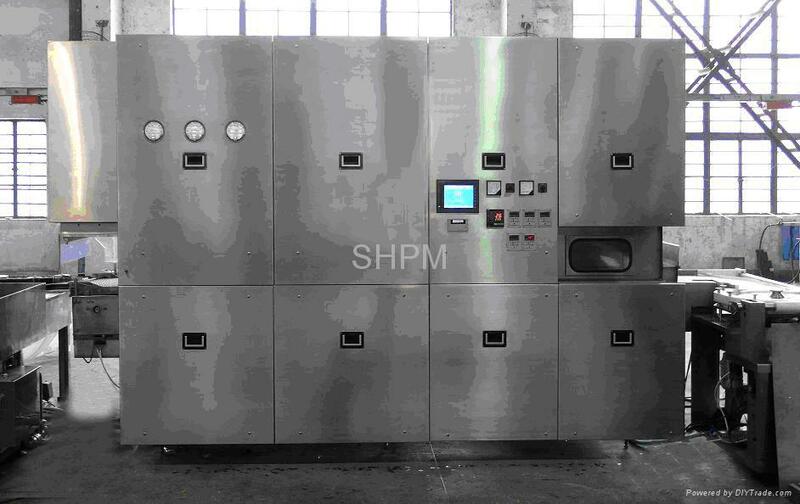 It exactly follows the GMP rules in medical machine and satisfies the GMP requirement for drug production. 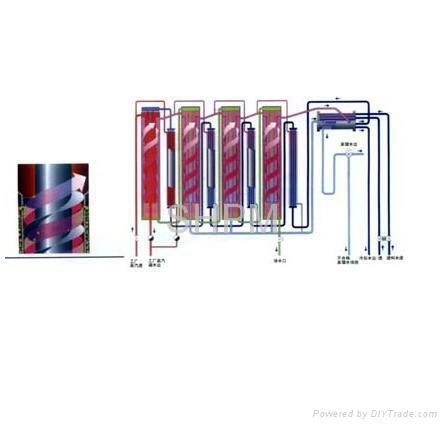 Adopting ultrasonic washing, the construction is simple and reasonable. Bette washing effortis getting. Adopting imported electricity elements control, operation parameter can be set, shown and printed. With adjustable running speed, adopting purified 100-classlaminar flow protecting while sterilizing and drying, Working temperature can be adjusted for plastic bottle. precision, larger adjusting scope without any leakage. Light examination will get better if the diaphaneity instrument is involved. Automatically complete to stick label, batch number printing step and automatically show the quantity record. Adopting the heat print method to get clear handwriting.